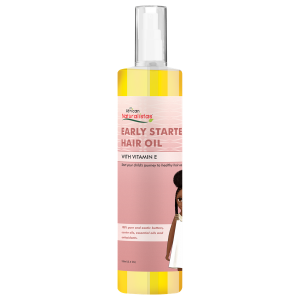 Our Early Starters Hair Oil is made with pure and exotic butters, carrier oils, and antioxidants to stimulate hair growth. It contains only oils that safe for children and pregnant women. This oil was manufactured specifically with the health of your child’s scalp and hair in mind, to regulate sebum production, while at the same time giving their hair shine, and creating a safe environment for their scalp to thrive. 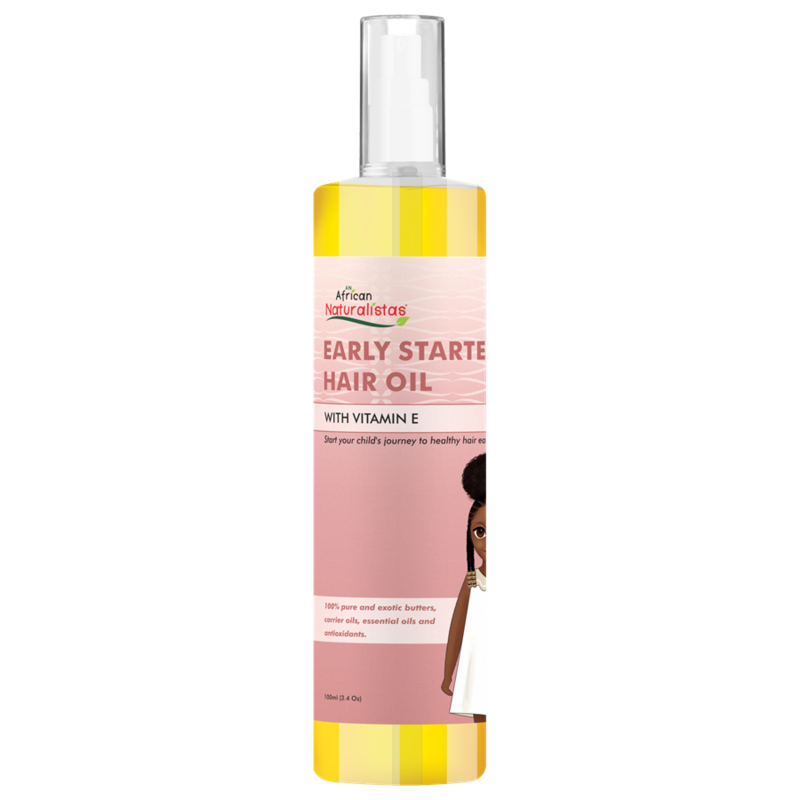 Apply Early Starters Hair Oil on scalp, and massage every morning. For sealing in moisture, after moisturising with Early Starters Leave-in Conditioner, coat hair strands with Early Starters Hair Oil to lock in moisture.